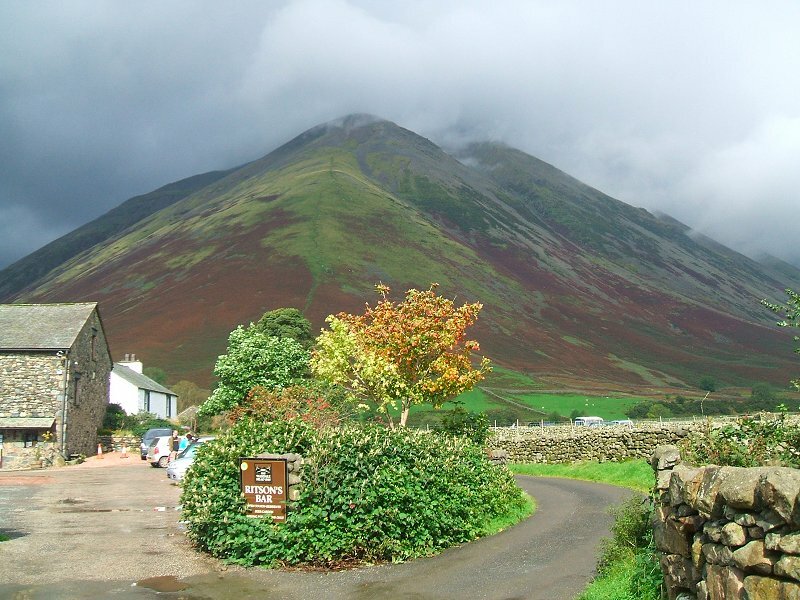 I had intended to walk the Mosedale horseshoe today but this was the scene that greeted me when I arrived at Wasdale Head. 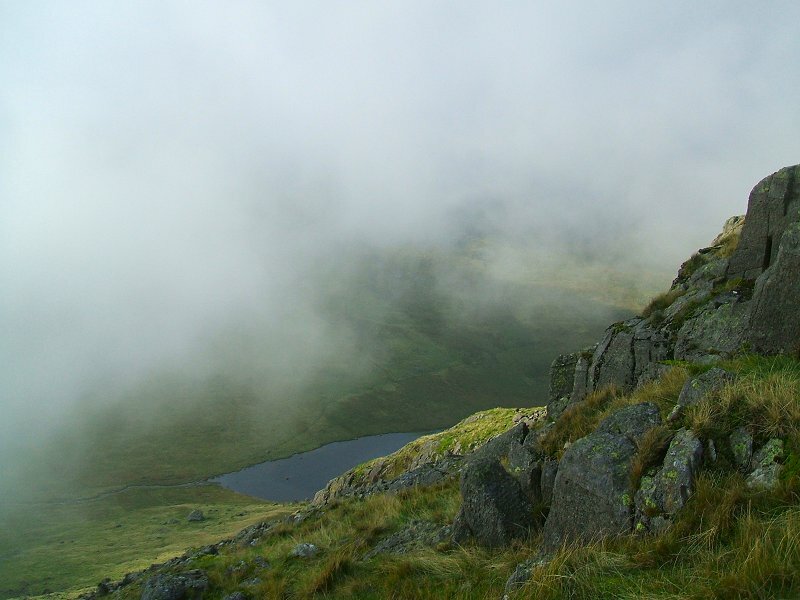 Taking a gamble on the weather I set off up the steep front of Kirk Fell. 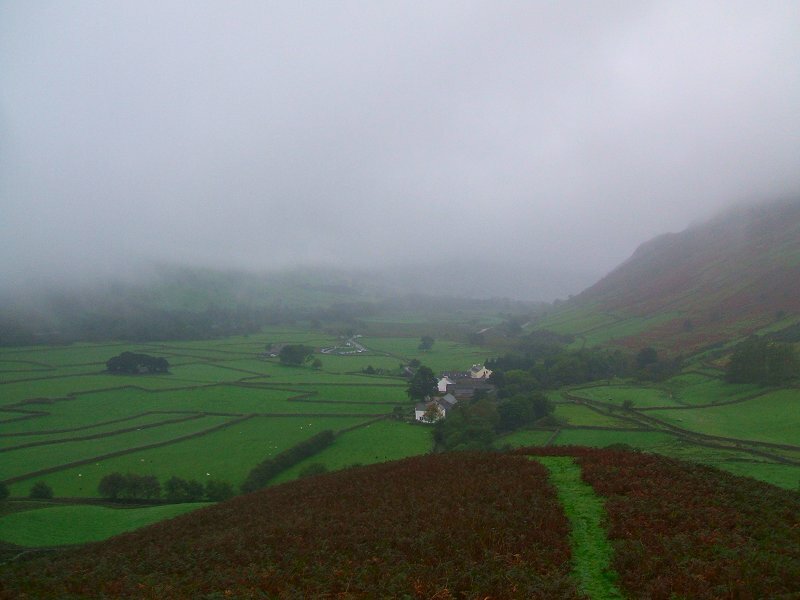 But this is the last I saw of Wasdale. 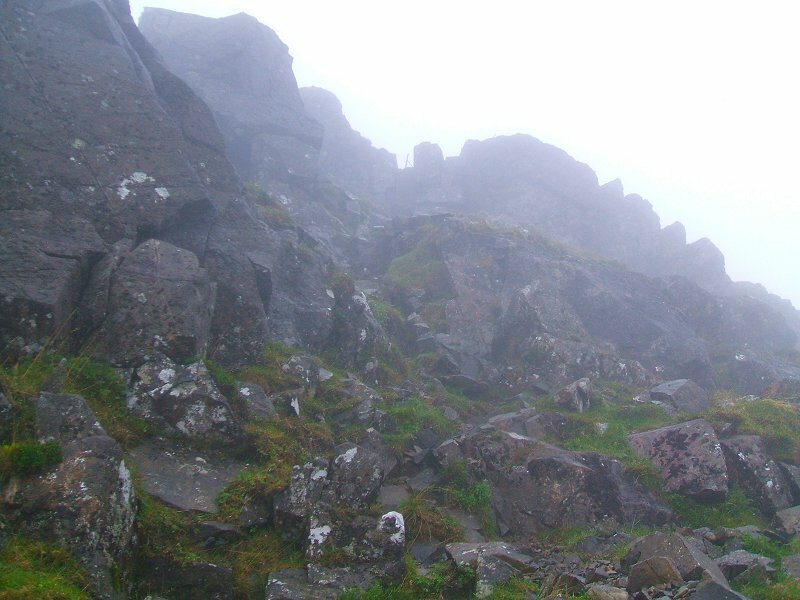 There was no improvement conditions so I decided to abandon my walk but first I had to negotiate the tricky wet rocks on the steep descent to Black Sail pass. 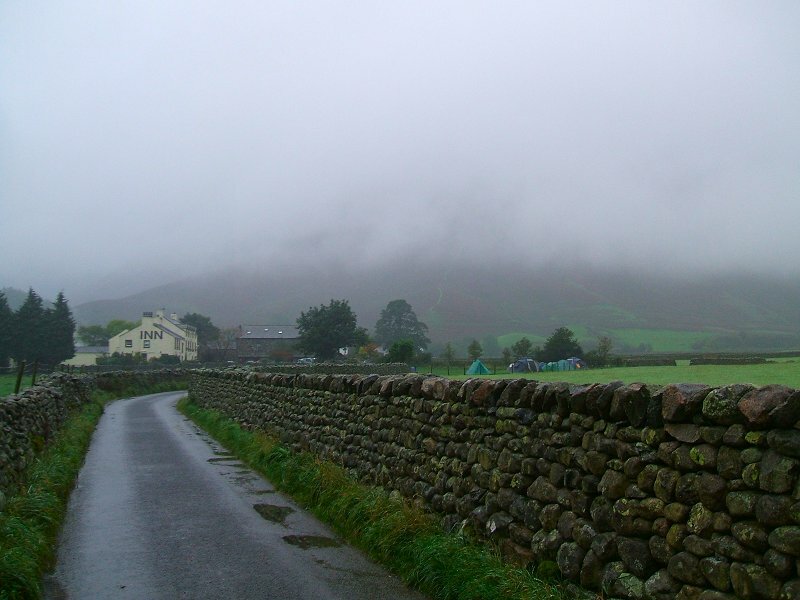 Of course as soon as I returned to valley the weather picked up so after lunch I drove round to Greendale to tackle Middle Fell. 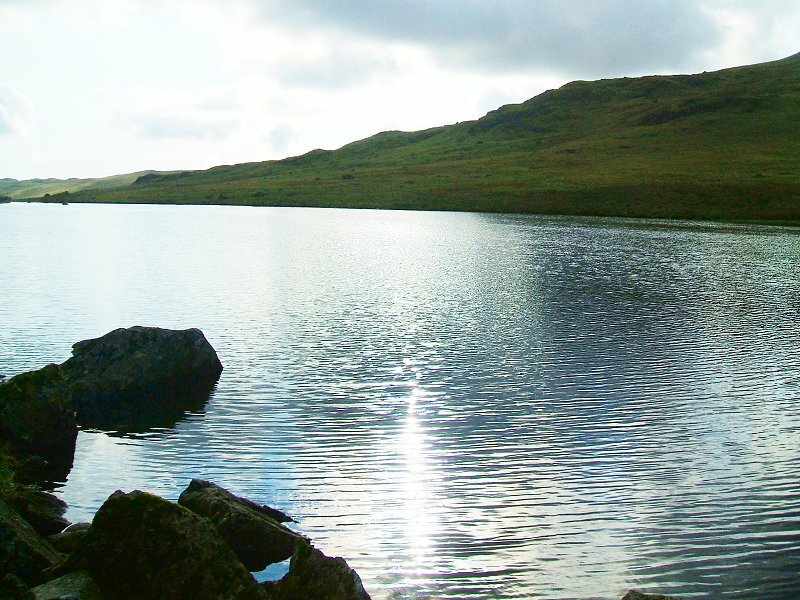 A glimpse of Greendale tarn on the climb up Middle Fell. 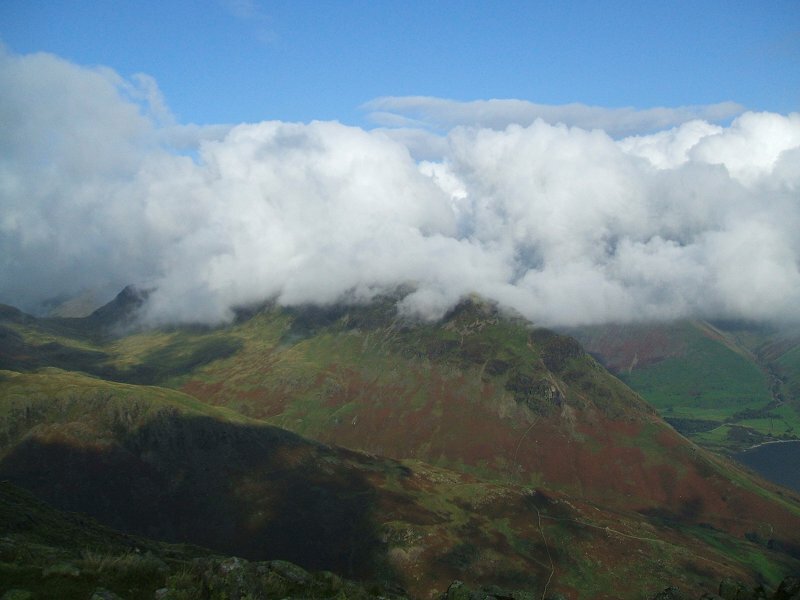 The sun is out now but the cloud still hangs around Yewbarrow. 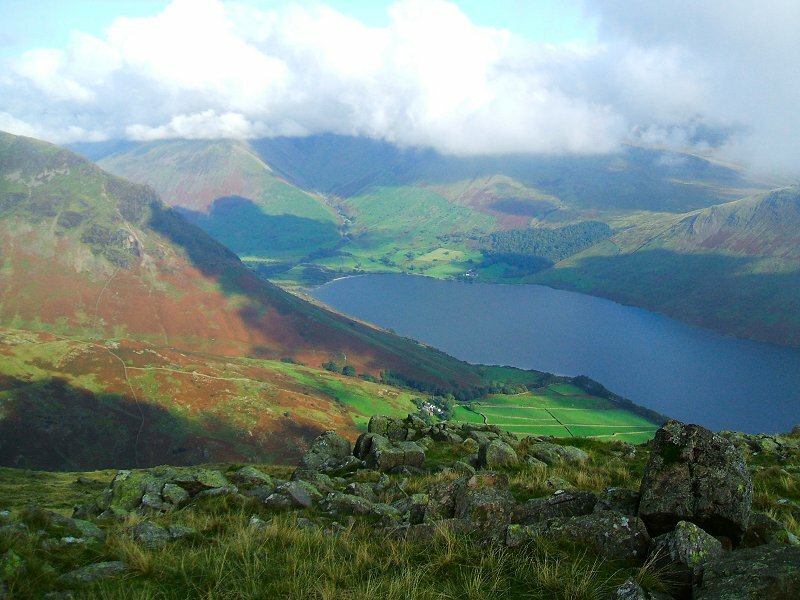 The head of Wastwater from the summit of Middle Fell. 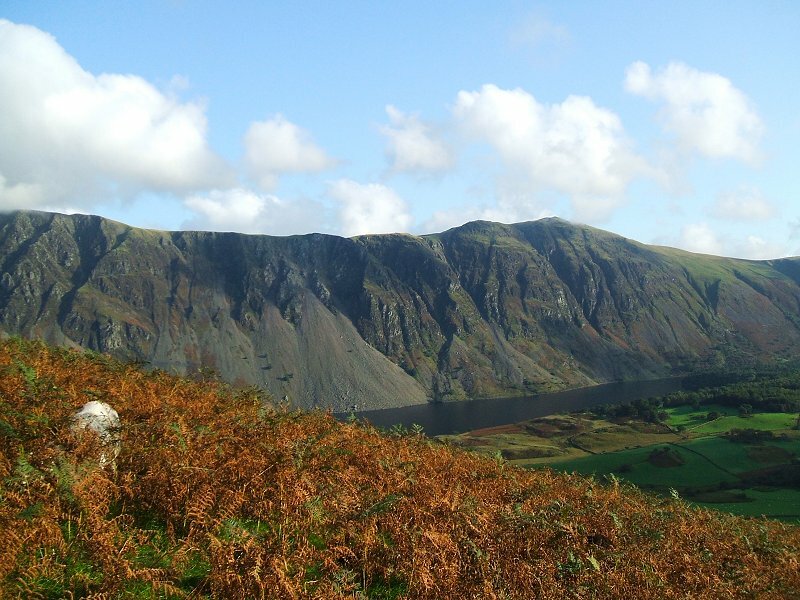 The Wasdale Screes from the path back to Greendale.